All of our best frenemies are gathered to salute National Canadian Film Day on April 20. 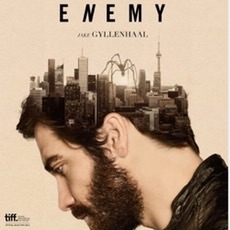 Then Alexander Cairns and William Lee try to wrap their heads around Enemy, Denis Villeneuve's 2013 thriller starring Jake Gyllenhaal and Jake Gyllenhaal. It's merely a coincidence that this episode drops on 4/20. For more information about the movie discussed in this episode, see the IMDb page for Enemy.